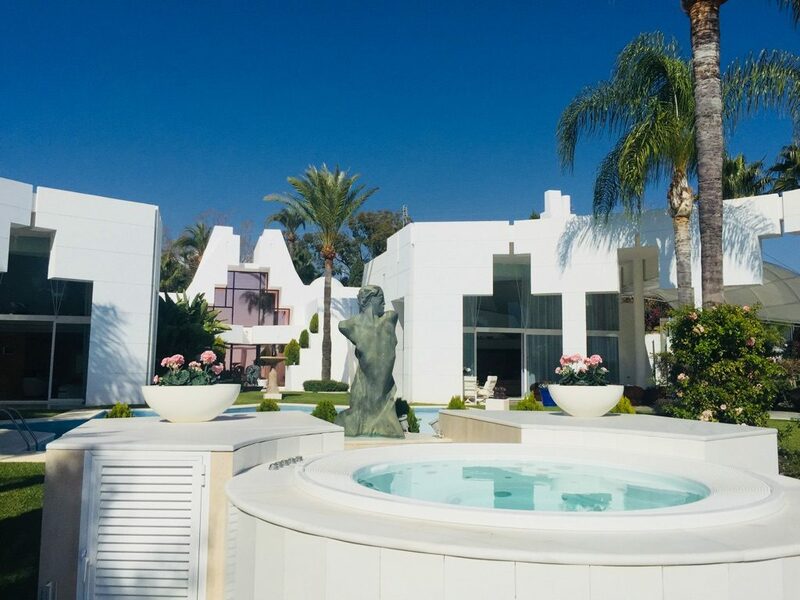 Luxury Villa Sales are pleased to showcase this very unique 990 m2 Contemporary Art Deco style 7 bedroom villa designed by the famous architect Angel Taborda. 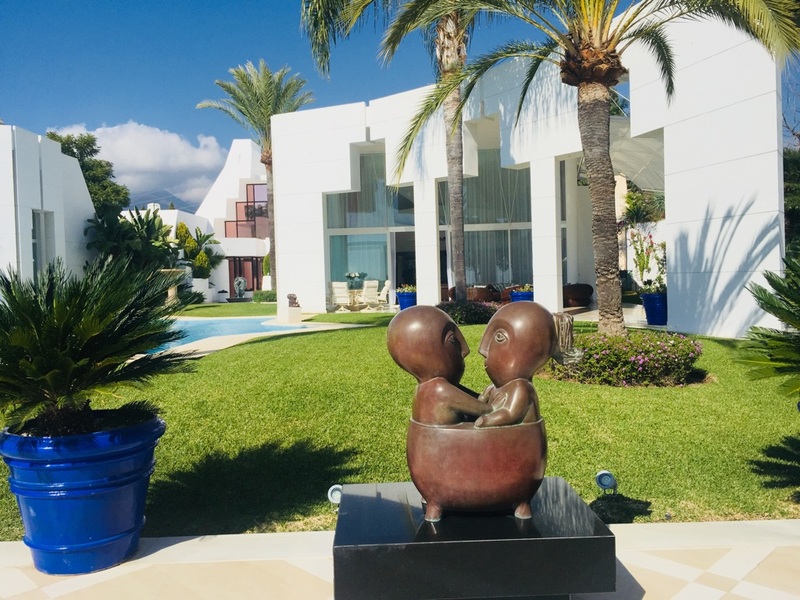 Located on a superb elevated 4,008 m2 plot filled with art works, in La Cerquilla, one of the highest plots in this exclusive part of the famous Nueva Andalucia Golf Valley area of Marbella. This gives this very special La Cerquilla property great views out over the Mediterranean sea. The villa is 990 m2 of built space of which 600m2 is usable interior space, the rest being a mixture of shaded and open terraces. The property is an art lovers dream home, fully enclosed by a designer wall with original wrought iron art deco lattice fencing, making the interior a superb and tranquil haven of peace. The gardens feature a superb blend of architectural columns and angular fixed canopies forming dramatic shaded terrace areas complemented with numerous mature tropical trees. The unique open sculptured patio leads you and your guests out to the large also unique star-shaped swimming pool through to further open terraces the elevated Jacuzzi with their superb mountain and sea views. The gardens feature numerous bronze statues from famous artists including John Holmes of Arizona, which blend seamlessly into tropical gardens among the tall palm trees. 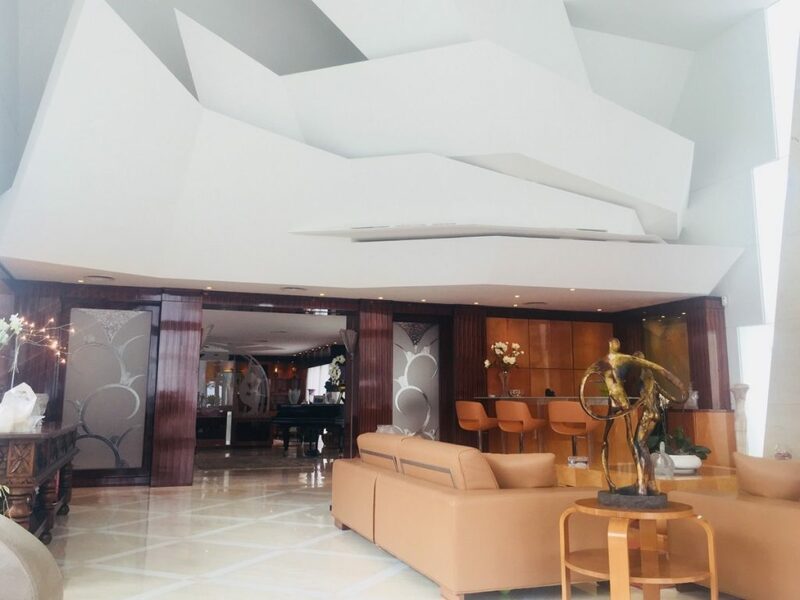 From the lounge you can enter through to a second lounge/TV area with full height glass windows, through to the formal dining area, which is separated from the lounges by a magnificent etched glass art deco divider, custom made in America to match the kitchen doors. The red and black kitchen has a matching breakfast table, and here also the art deco theme is continued. Off the kitchen there is a small staff/guest apartment with it’s own private entrance. The main entrance door bring you into an impressive double height hallway with guest wc. From here unique glass corridors lead you through to the bedrooms. From this light and bright glass corridor there are 3 large guest bedroom suites with 2 bathrooms, all featuring direct access to the garden areas. This leads on to the impressive 90 m2 master bedroom suite with its high art deco ceiling similar to the one found in the main lounge, a very special marbled bathroom and doors out to its private terrace in the main gardens. 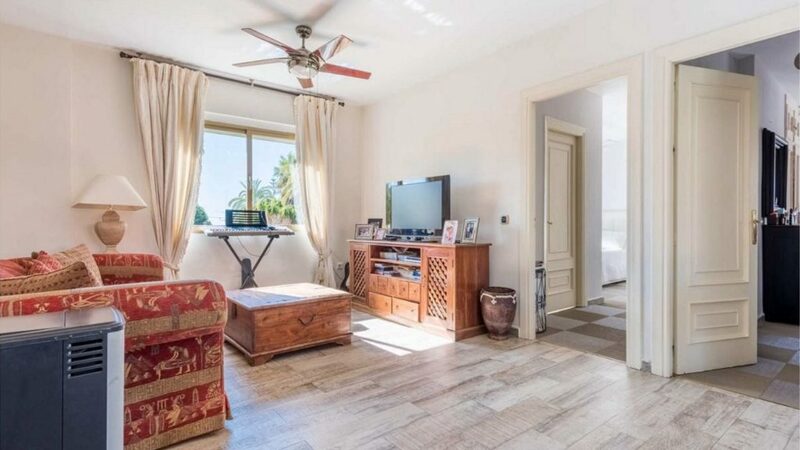 From the end of the garden there is an entrance to a large 250 m2 3 bedroom self-contained separate apartment. Decorated in a similar style to the main villa. This apartment has 3 bedrooms, all with private entrances to the terrace, 2 bathrooms, kitchen, large lounge and dining room. The large very private apartment terrace has the possibility for a cantilevered covered pool if the new owner wished to add this. The guest apartment has its own parking area and entrance from the street as well from the garden area. Throughout the villa and apartment all of the floors are beige and cream marble with underfloor heating or carpeting. All of the bathrooms are marble. The main villa has a 2 car garage and there is additional space to park more vehicles inside the property and on the street. Nueva Andalucia property is always very popular and this La Cerquilla villa is a superb and very private oasis of peace, with no overlooking neighbours. It has a modern alarm system offering security and peace of mind and is ready to move into. A very unique villa – call us today to arrange a viewing on (+34) 952 77 44 33. Luxury Villa Sales are pleased to be showcasing this beautiful traditional Andalucian styled 5 bedroom villa located in the prestigious Sierra Blanca community, renowned as one of the most upmarket areas of Marbella. Sierra Blanca is just 3km inland from the famous Marbella Golden Mile beaches and just a 5 minute drive to Puerto Banus and Marbella Old Town centre. An urbanisation of upmarket villas on private plots. This superb Sierra Blanca villa offers its new owners and their guests superb levels of privacy and spectacular mountain, sea, views, Gibraltar and African coats views. The property enjoys a corner plot position and its grounds have been superbly designed for outdoor entertaining with minimum maintenance. As you go into the property on the ground floor, through the large shaded entrance you reach the main entrance hall leading directly into the spacious main lounge with an open fireplace and a big study/office to the left. The lounge area and dining room are open plan, superb for entertaining, and benefit from direct access out to the large shaded terrace entertainment area which is fully equipped for outdoor dining. This floor is also home to the blight fully equipped kitchen fitted with modern appliances and a connected utility room. On the first floor there are four spacious en-suite bedrooms. 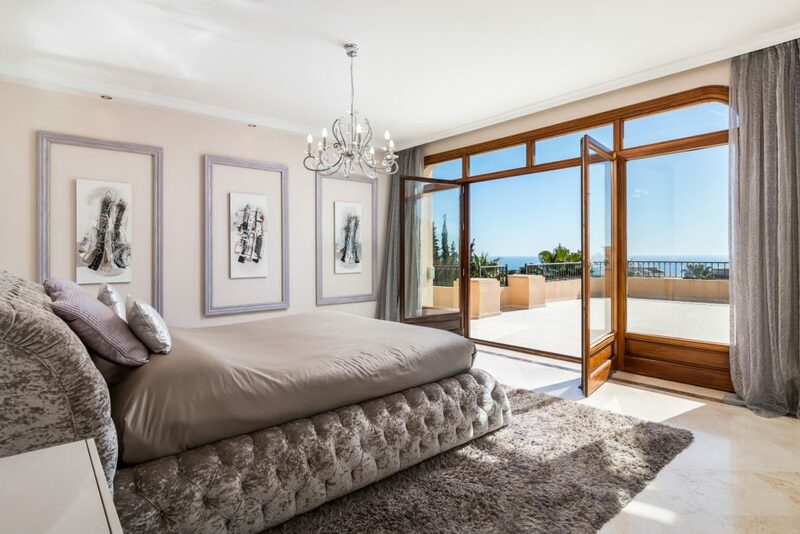 The master suite has its own large private balcony with panoramic views looking out over the Mediterranean sea, the rock of Gibraltar and the Africa mountains. The master suite bathroom features a large whirlpool bathtub and a separate large shower area. All four bedrooms have built in wardrobes and closet space. The lower floor features a fully equipped gymnasium, games room and direct access to the 2 car garage. Also on this floor there is a self-contained family or staff apartment with kitchenette, bedroom and en-suite. The exterior of the property is a superb place to enjoy the Marbella outdoor lifestyle with its private pool, large pool terrace and a good mix of shaded and sunny terraces. There is a long garden bar area fully equipped with a sink, fridge and kitchen units as well as a feature BBQ. A superb Sierra Blanca property – call us today on (+34) 952 77 44 33 to arrange a viewing. For those seeking the most secure, tranquil and rustic place to live in Marbella the La Zagaleta Country Club is the obvious choice. 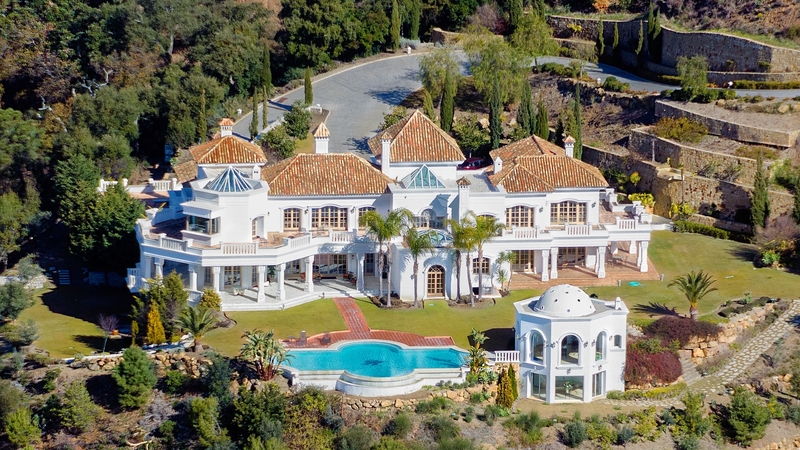 This very private estate, with 24 hour manned security gates, is located just a scenic 15 minute drive from the glamorous resort town of Marbella on the famous Ronda Road. La Zagaleta is a haven of nature and tranquility with large luxury villas built on large plots surrounded by greenery and wildlife. An area of extremely low build density. Here we present three of our current favourite La Zagaleta villas for sale offering a great range of property choices for buyers with differing needs and tastes. 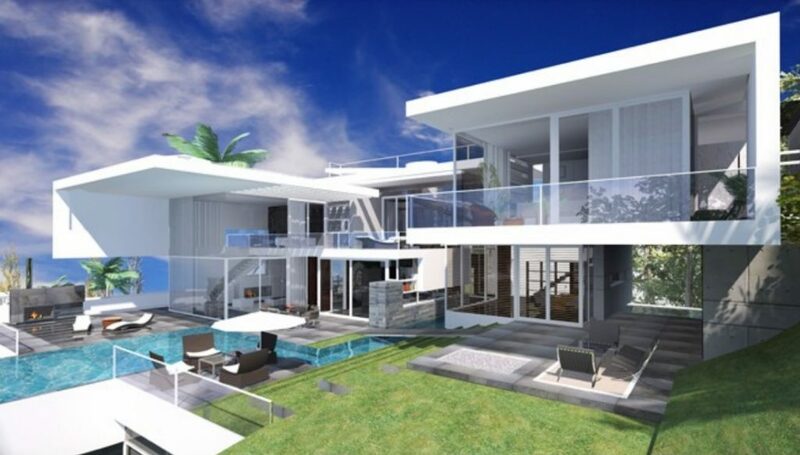 Recently completed this very modern and very spacious 2,500 m2 8 bedroom 10 bathroom property will appeal to those who want a spectacular contemporary style villa on a superb 7,350 m2 sea view plot. The property certainly has the wow factor from the moment you drive through the gates with a beautiful forest drive way which opens out onto the huge courtyard and impressive part glazed north facade of the building. Entering the property is no less dramatic with views straight through the huge double height lounge across the gardens and the infinity pool down to the Mediterranean sea. The villa is a super car owner’s delight with a well finished garage for 8 vehicles, covered parking for a further 5 vehicles and space for 20+ vehicles on the driveway. Recently totally refurbished this large 1,850 m2 luxury 7 bedroom 8 bathroom villa will appeal to those who want an outstanding property with some of the most breath taking views in Spain. A property with a great deal of the wow factor from the moment you enter the gates with spectacular sea views out to the right as you drive through the immaculately lawned gardens passing fruit trees on route. Stepping into this impressive home offers the owners and their visitors superb views, framed by the floor to ceiling windows of the large yet cosy lounge area, of the impressive gardens with the large pool area over to the dramatic peak of the la Concha mountain. 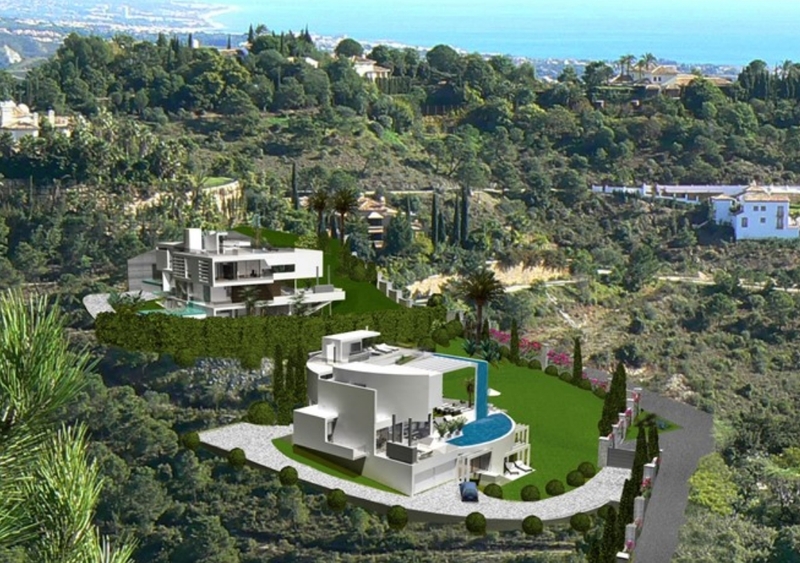 Elevated 7,119 m2 plot with possibly the most spectacular views on the Costa del Sol. Large entertainment floor with, indoor spa pool, large gymnasiums, sauna, cinema, wine cellar and games room. One of the most impressive villas in La Zagaleta this palatial 2,668 m2 luxury 7 bedroom 9 bathroom villa will appeal to those who want a classically styled villa, built from the finest materials available from around the world, set upon an unrepeatable private 24,169 m2 estate. The villa has a majestic entrance gate leading to a long sweeping drive way, which winds down to a very impressive circular courtyard with numerous impressive water fountains and water features. Four full height dramatic pillars welcome owners and their guests. The property has been built using the world’s finest quality materials including marble from Italy, African black granite and green onyx from Pakistan. 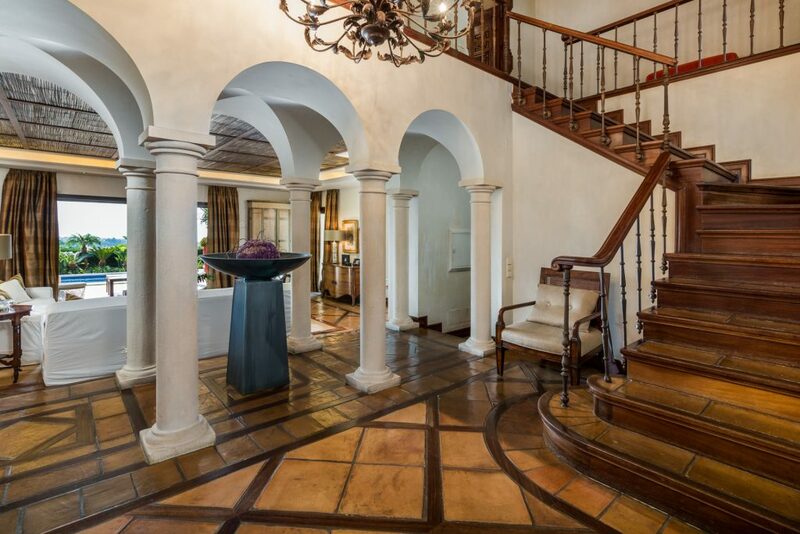 The qualities used throughout this property are obvious with numerous custom built inclusions such as the dramatic full height chandelier, custom made stair rails with hand etched glass balustrades and a large oak paneled library. The beautiful level gardened area is home to a large infinity pool with beautiful sea views and a unique two story pool house. Allows room for substantial further expansion under strict Spanish planning laws, should the next owner wish to extend the villa or build another property. Large entertainment floor with large gymnasium, sauna, Turkish bath, wine cellar and games room. Luxury Villa Sales are delighted to be showcasing this beautiful traditionally Andalucian / Colonial styled villa with panoramic sea views located in the exclusive area of Rio Real, just a few miles east of Marbella. This superb 4 bedroom, 4 bathroom Rio Real property has a very spacious 538 m2 of built space, and is located on a superb elevated south facing 1980 m2 plot which is beautifully landscaped and has superb sea views from the gardens and all floors. Built in a charming old style the property has been constructed using all the finest materials and benefits from a Bang and Olufsen domotica home automation system and underfloor heating throughout. The property has 3 storeys. The grand entrance floor is very bright and open plan with a double height entrance area, feature arches and a light open plan stair case leading to the first floor. Large patio doors lead out to the shaded terraces, outdoor dining area and lush tropical gardens set around the pool area. The large kitchen, dining area is equipped with modern Miele appliances. There is also a guest bedroom suite and guest WC on this floor. The first floor is home to the master bedroom with it’s own private lounge, feature high ceilings, bathroom with jacuzzi bath, dressing area and private terrace looking out over the pool and gardens to the Mediterranean sea. There is also an office/library area and two additional bedrooms on this floor, both with en-suite bathrooms and one with a private terrace. The lower ground floor is home to the generous 3 / 4 car garage, wine cellar; storerooms; staff accommodation with bedroom and bathroom; laundry room and equipment room. 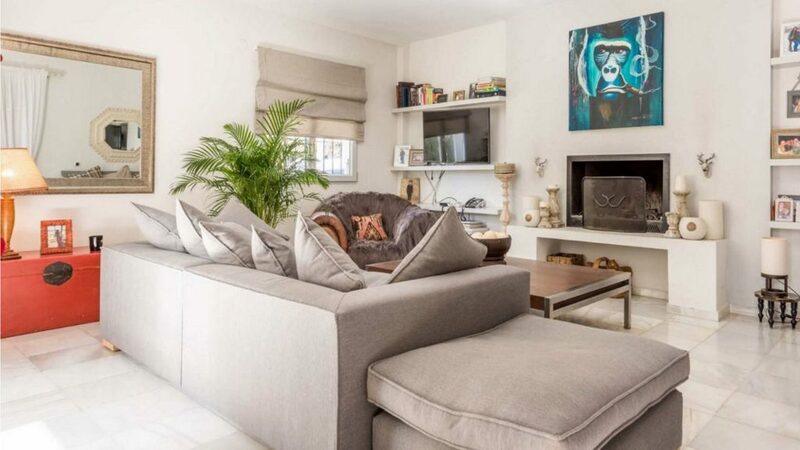 Rio Real is a superb and highly sought after Marbella East property location for those wanting to be close to the centre of Marbella, which is just a few km away, yet in a beautiful quiet location close to the golf, beaches and superb international schools. Contact us at Luxury Villa Sales to arrange a viewing on +34 952 77 44 33. 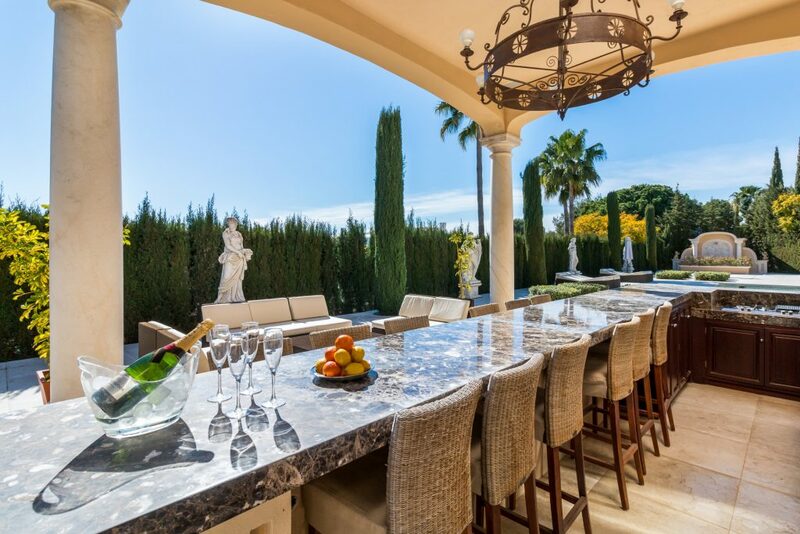 For agents with clients looking for a great place to entertain, in a tranquil and secure 24 hour gated community near Marbella, this superb 6 bedroom villa with sea views in Vega del Colorado is a superb choice. Luxury Villa Sales are proud to be showcasing another new exclusive listing in this superb location. Collaborating agents are welcome to visit and to take a relaxed stroll around this superb 6 bedroom villa, whilst enjoying a great range of drinks and appetizers, on Friday 29th of March in between 3pm-6pm. The villa is 6 bedrooms, 6 bathrooms, with 694 m2 of built space located on an elevated 2,750 m2 plot with great sea views. The property has a superb poolside entertainment area with a reed roofed gazebo and a good mixture of shaded and open poolside terrace areas. Vega del Colorada, on the outskirts of La Quinta is a superb location, a small quiet and very private 24 hour gated community. Collaborating agents can find full details of this property with video and professional pictures on the property’s private unbranded website for partner agents use. Agents wishing to attend should please RSVP to Diana by email from our contact form here please! 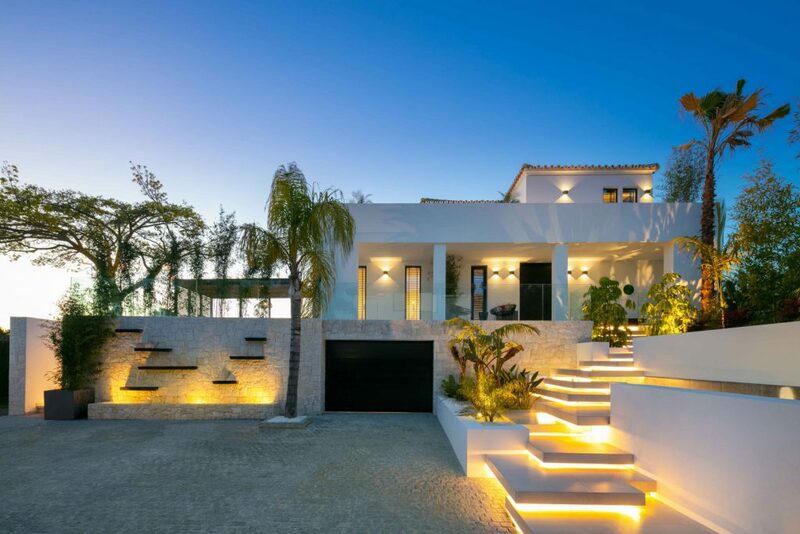 Luxury Villa Sales is pleased to be able to showcase this recently listed totally refurbished 5 bedroom contemporary villa for sale in Nueva Andalucia. 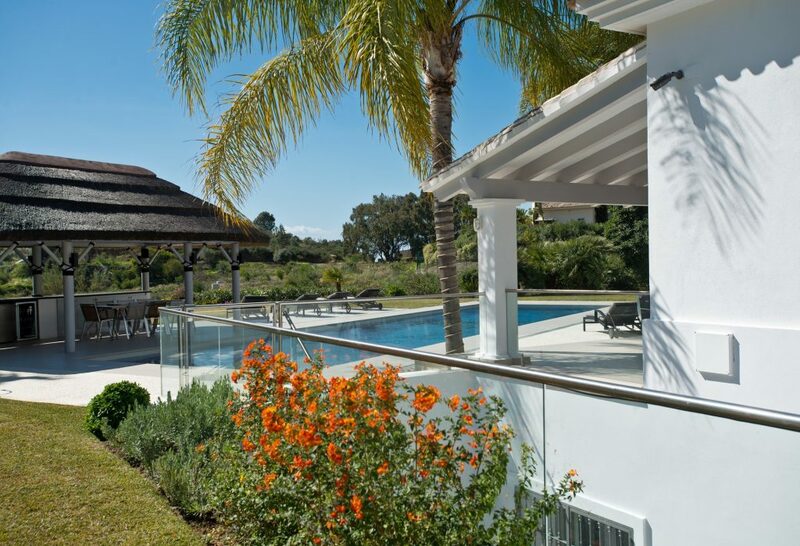 This very spacious 489 m2 built size property benefits from a superb location, right at the centre of Nueva Andalucia. Ideal for those looking to be close to Puerto Banus, the Marbella Golden Mile Beaches and the charming old town centre of Marbella. Not to mention the plethora of golf courses on hand in this area, which is known as Golf Valley. The property itself offers a high level of luxury living to meet all your needs. Enjoy superb levels of peace and tranquillity whilst taking in the high level finishes which have been used throughout this villa. This is a very modern home with abundant levels of light and large open plan spaces. You and your guests will enjoy the superb facilities on offer in this home. Outside there is a private pool and a shaded fully equipped al fresco dining area with plenty additional space for lounging in the sun by the pool. Superb outdoor lighting systems showcase the property superbly for evening outdoor living and entertaining. Inside there is a showcase wine cellar with bar and a magnificent indoor pool/spa area with sauna and gymnasium. En-suite bedrooms with private terraces and feature fires as well as the fully equipped modern kitchen are just some of the surprises await your viewing visit. Built on a 1,043 m2 south west facing plot the property has superb panoramic views out over the valley towards the sea, and will benefit from superb sunsets and evening sunshine. Just a short drive from this villa you have superb international schools, boutique restaurants, bars and shops. One of the most exciting properties in Nueva Andalucia, please contact Luxury Villa Sales on +34 952 77 44 33 to arrange a viewing. Luxury Villa Sales will be proudly showcasing one of our latest new exclusive listings in the secure gated community of El Herrojo. We will be welcoming collaborating agents to take a relaxed look around this superb 6 bedroom villa with superb sea views on Friday 8th of March in between 3pm-6pm, with a range of great drinks and appetizers. 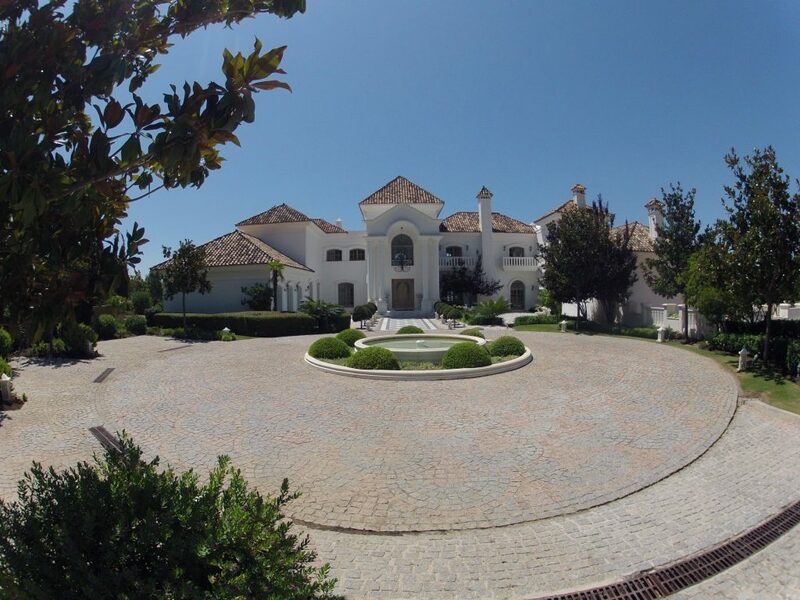 The villa is 6 bedrooms, 6 bathrooms, with 800m2 of built space located on an elevated 2,000 m2 plot. With superb sea views the property has a rather unique underfloor heated outdoor terrace area as well as games room and cinema. El Herrojo is superb location, a small private 24 hour gated community within La Quinta. This property, owned by a good friend of Luxury Villa Sales, who is also involved in Real Estate is currently one of the best bargains in the Marbella area, having been reduced from €1,495,000 to €995,000 for a quick sale. The property is located in Nagueles, a popular leafy residential area just a few km inland from the famous beaches of the Marbella Golden Mile, sitting just below the very exclusive Sierra Blanca urbanisation. 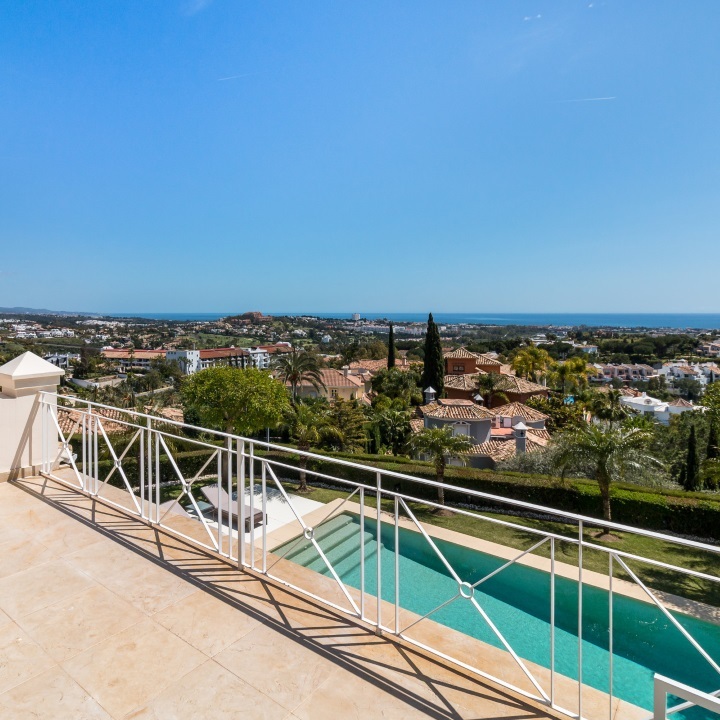 As stated above the current owner has a great deal of luxury real estate experience here in the Marbella area so the fact she chose this property as her family home is testament to its great location. Just a 5 minute drive to Marbella Old Town centre, Puerto Banus and the Golden Mile beaches. This 4 bedroom 4 bathroom villa is situated on a lovely 1,006m2 plot, with a nice very private drive with automated gates, leading you to the garage and parking area. There is a lovely private pool area with a nice mix of sunny poolside terraces and shaded outdoor dining and chill out areas. To the side of the pool there are several fruit trees. Inside on the ground floor there is a spacious modern fitted kitchen, dining room, chill out room with pool views and a spacious lounge area with a cosy open fire. On the first floor the villa has a large open hallway area suitable for use as a study, second lounge or play area. To the front of the property there is the master suite with its own private balcony. Across the open hallway there are the other three en-suite bedrooms with balconies overlooking the pool area. This is a bargain Marbella villa in a great location, just minutes from all the attractions of Marbella as well as the top international schools. We recommend an early viewing – call us today on +34 952 77 44 33. What is so special about this property? The Palace of Light is a grandiose estate within the La Zagaleta Country Club, widely recognised as one of the best places to live in the world, with unrivalled natural beauty, tranquillity and security in the envied southern Mediterranean climate. One of the key attributes of this 7 bedroom property is the fact it is located on a unique 24,169m2 plot, on some of the finest land in Europe, guaranteeing both its privacy and uninterrupted views. The immense size of this plot gives the new owners flexibility to further extend this villa or even build a second villa on the plot. Constructed to the highest standards from the finest materials from around the world this 2,688 m2 built size opulent villa has a host of unique features including large spa, gymnasium and cinema. 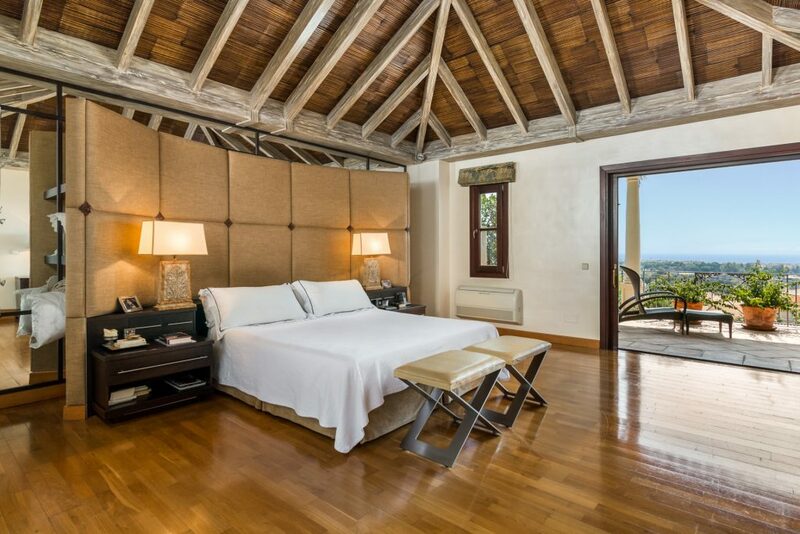 This is a very large luxury La Zagaleta property on an unrepeatable 24,169 m2 private estate within La Zagaleta. What is so special about the views? 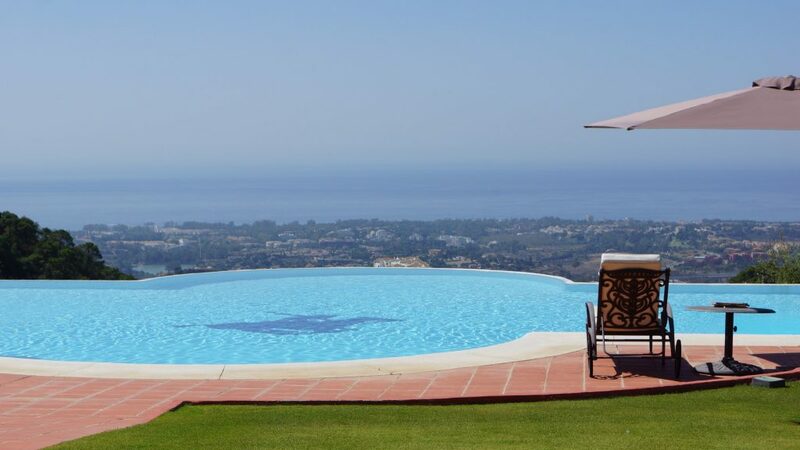 The expansive open and covered terraces and lawned gardens with infinity pool boast superb views out over the surrounding countryside and mountains as well as superb sea views out over the Spanish and African coastlines. Additionally this villa’s relatively low altitude ensure these stunning views can be experienced from outdoors all year round, with higher ambient temperatures and less windy days than higher altitude properties. Tell me more about La Zagaleta? La Zagaleta Country Club is widely renowned as one of the best places to live in Spain and indeed Europe. Set in in the rolling hills above the coast, just a 15 minute scenic mountain drive from Marbella old town, the beaches and Puerto Banus, this very exclusive urbanisation benefits from a host of onsite world class facilities and unrivalled security. Two 24 hour manned security gates ensure only owners and their invited guests have access to the estate. There is a private helipad for those wishing to fly in. Owners and their invited guests have exclusive access to an excellent equestrian centre, two superb eighteen hole golf course, the club house with its gymnasium, bar, excellent restaurant and pool, shops and concierge facilities. Luxury Villa Sales are pleased to be marketing two superb sea view plots in the exclusive gated community of El Madroñal, a short mountain drive from Marbella, Puerto Banus and the beaches. El Madroñal is a very low build density community, set in natural wooded valleys and the foothills of the mountains. These two plots are a superb opportunity for someone to build a dream home, or to develop two or even three exclusive properties. The plots are elevated and have beautiful sea and mountain views and once built the villas will enjoy superb amounts of privacy looking out to the Mediterranean sea. 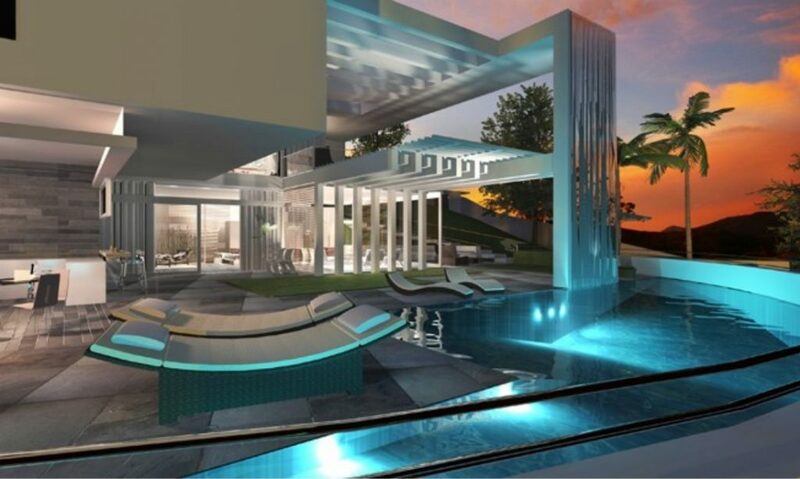 One of the things which make these plots so interesting is the opportunity to purchase them, subject to further negotiation, with an epic ready made project to build a space age villa bathed in light from an abundance of glass. The optional projects are for the building of two very spectacular El Madroñal villas with a host of very special features including rooftop bars, rooftop Jacuzzis, outdoor open fires, games rooms, cinemas, heated indoor pools, saunas and indoor and outdoor kitchens. This is a great opportunity to buy very well priced land package(s) in one of the most exclusive locations in the Marbella area with projects available to build a stunning designer villa. Contact Luxury Villa Sales on (+34) 952 77 44 33. Welcome to the Marbella LVS Blog – here you will find all our exclusives! The latest news from the Marbella Luxury Property market, our latest listings and the hottest luxury properties on the market in the Marbella area.